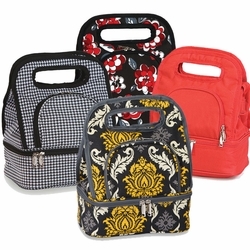 The sleek styling and modern feel of the Magellan Lunch Tote make it suitable for Men, Women or Kids. 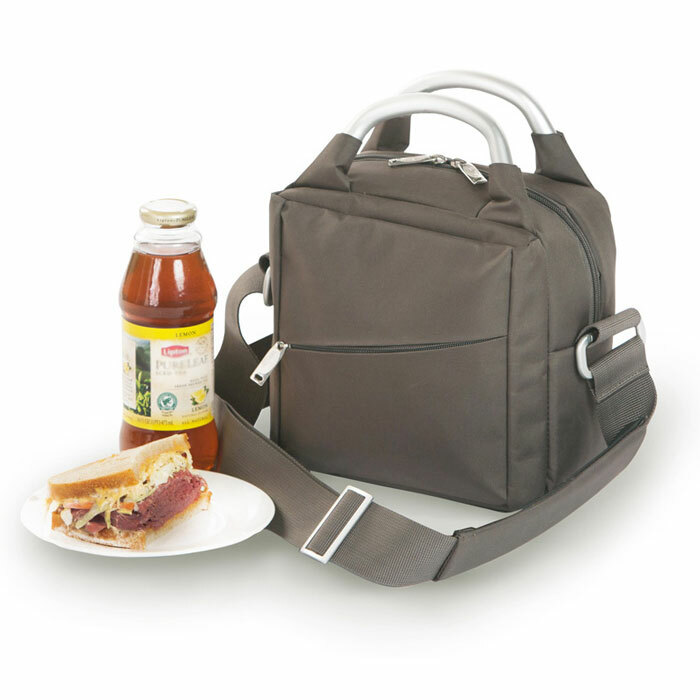 It's smart appearance also makes it a great lunch cooler for the office executive or a thoughtful gift for the hard-to-buy-for person. 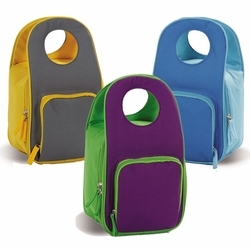 It's features a fully lined thermal foil insulation to maintain food and drink temperatures. The interior has a removable divider which helps to keep bottles in place to prevent breakage. 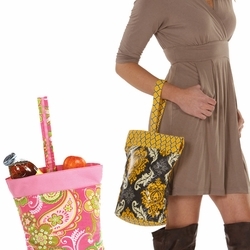 The smooth aluminum handles allow comfortable carrying while adding to the contemporary style. 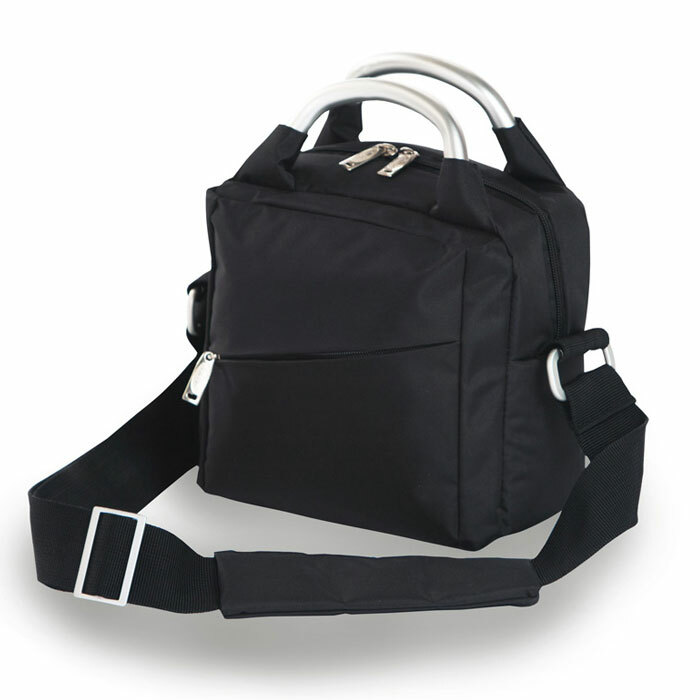 The adjustable strap is padded and removable and the front zippered pocket offers convenient storage for small or personal items keeping them easily accessible. 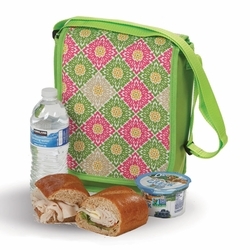 The Magellan isn't just a sharp looking lunch box. 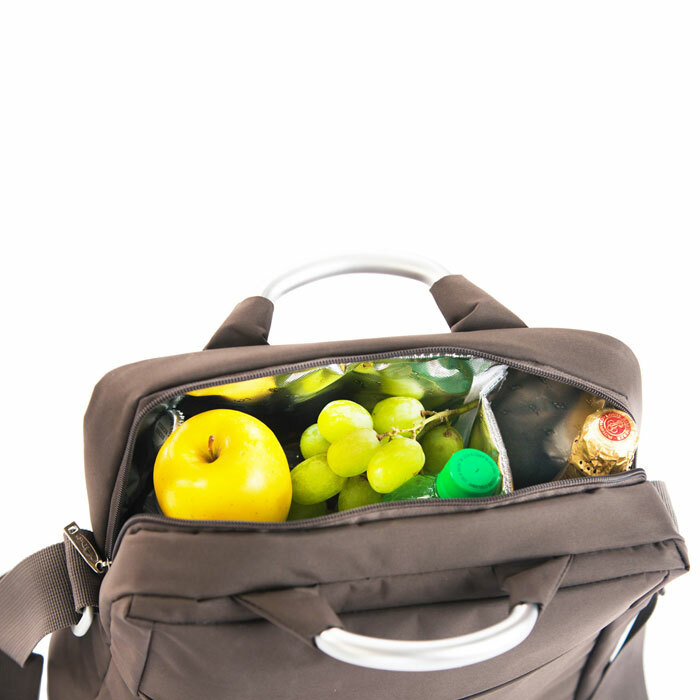 It's generous size allows it to multifunction as a stylish insulated cooler tote as it is can accommodate up to 4 wine or liquor bottles. Add some personal flair by having it personalized with a name, initial or monogram.